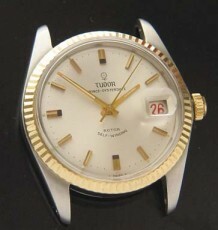 This Rolex Tudor Chronograph watch is called the ” Pre-Tiger” model, Ref. 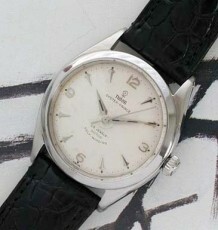 79280, which has been discontinued for a long while now. 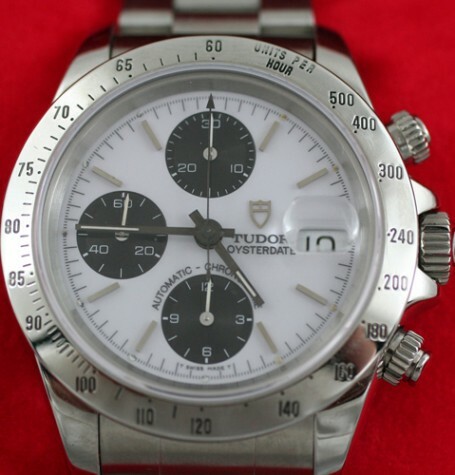 This Tudor chronograph became a collectors item when the Tiger Woods model came out and is sought after by collectors ever since. 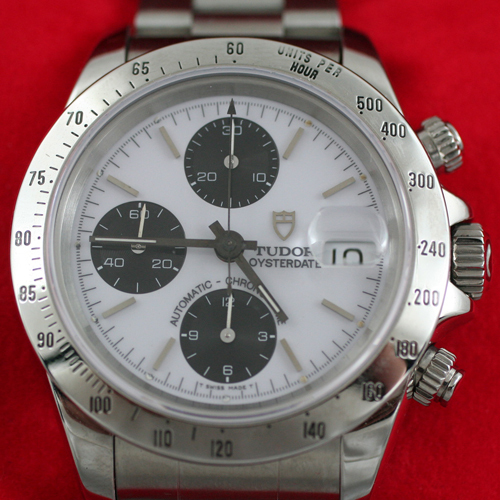 This particular watch features a white dial with black sub-register dials and has a very similar appearance to the famed Rolex Daytona models. 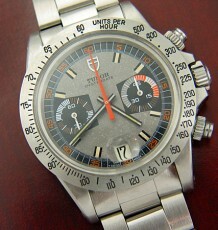 This Tudor pre-Tiger chronograph is in excellent condition and everything works flawlessly as you would expect. This watch will be delivered with the original double box set but no warranty card. 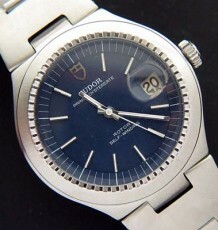 The original Tudor Oyster steel bracelet is still fitted and is also a sought after item as they are no longer produced.